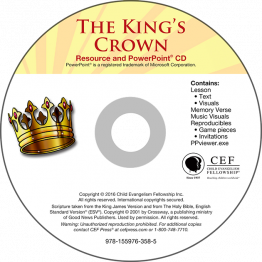 This resource PowerPoint CD includes PPT visuals for lesson, memory verse (John 1:12) songs and Kingdom themed game pieces. Reproducibles in B&W and color, KJV and ESV. Suggested song Jesus Is the Good News. celebration during Black History Month (February) or anytime. In the Light of the World children will learn how God created and used light in some amazing ways to announce the birth of the Savior! 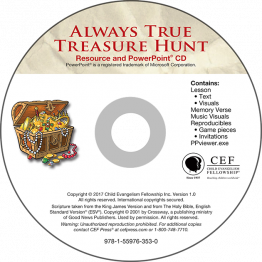 Reproducibles provided in B&W and color for invitations, nametags, Christmas card craft, poster, tokens. Other helps: decorating ideas, nametags party schedule, sheet music, Spanish bulletin. 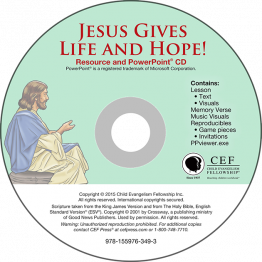 Suggested songs 'Joy to the World' and 'Go Tell It on the Mountain' are in English and Spanish on the Sing about the King 1 music CD or in printed form as visualized songs. 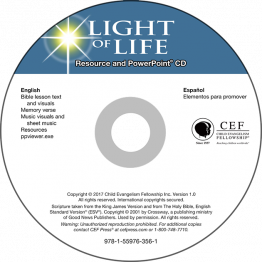 Light of Life Spanish text is available separately.